Another autumn has crept up on us quickly, and with this change in weather comes the flurry of pumpkin spice everything. It was in 2004, in fact, that the pumpkin spice phenomenon really took off, after Starbucks introduced their Pumpkin Spice Latte nationwide. And ever since, the obsession with this flavor has simply taken over the season, flooding advertisements and hitting the shelves of supermarkets and menus of coffee shops with equal fervour. It’s so in-your-face you can surely almost taste it. There’s pumpkin spice vodka, pumpkin spice hummus, pumpkin spice bagels, and pumpkin spice Pringles. The fiercely followed spice is in granola bars, pudding, soy milk, Clif Bars, popcorn, Peeps, Four Loko… and the list goes on, and on… and on. I myself have never tasted the annual Starbucks treat or purchased the various items filling up the shelves as I saunter through the aisles of the grocery store, but it has concerned me that the mass production of the flavour, in such a wide range of items for such a short period of time, is a marketing ploy by companies to get it while it’s hot, and not while it’s real. And when The Wall Street Journal broke the news that Starbucks’ most beloved fall beverage contains no real pumpkin, rather natural and artificial pumpkin spice flavor, the jig was truly up. So what’s a pumpkin spice fanatic to do? Well, you could carry on trying to pick apart every product presented to you in hopes that it does, indeed, come complete with real pumpkin spice, or you can try to make the following five recipes from scratch that actually come complete with the real deal. This drink can be whipped up in a total of 10 minutes. 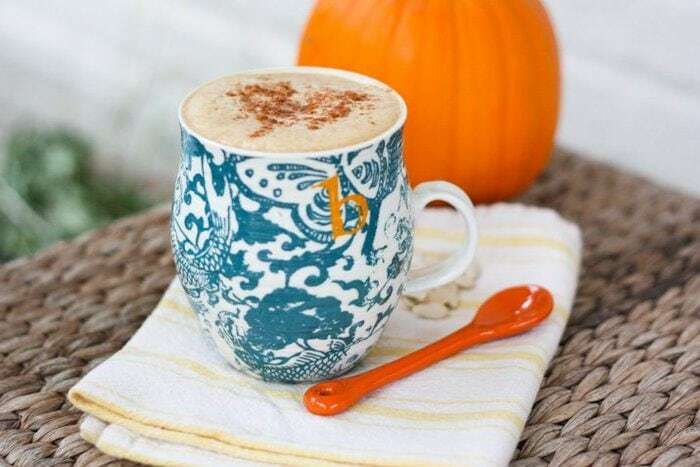 Complete with pumpkin puree, pumpkin pie spice, unsweetened vanilla almond milk, vanilla extract, and cinnamon, you’ll be happy to find Starbucks isn’t your only option. Try the recipe here. 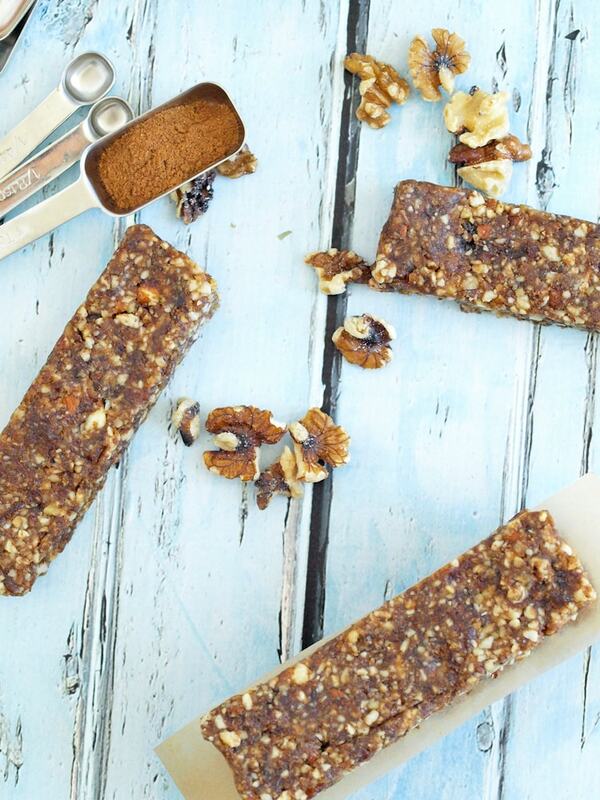 Granola bars are one of the go-to options for a healthy snack when time isn’t on your side. But not all bars are created equal, so it’s important to be mindful of what’s really in the ones you get. And if DIY is your thing, then these no-bake bars featuring dates, walnuts, almonds, pumpkin puree, and pumpkin pie spice ought to be on your list. All you have to do is put the ingredients in a food processor and pulse until the mixture is well combined. Here’s the recipe. Whip up this sweet snack in no time. The crackers call for ingredients like honey, vanilla extract, whole wheat flour, and cinnamon, while the hummus includes pumpkin puree, garbanzo beans, molasses, and walnuts. Find the recipe here. It’s fall, so undoubtedly apples are in abundance. This 5-ingredient healthy dessert is full of fiber and vitamins. All there is to it is one apple, honey, pumpkin spice, dried cranberries, and walnuts. Get the recipe here. Mix together avocado oil, maple syrup, vanilla, salt, pumpkin pie spice, cayenne pepper, and almonds to bake for a crazy good recipe that will feel festive for the season, satisfy your sweet tooth, and still leave you feeling full with healthy fuel. Here’s the recipe. Smoothies are a great way to pack a lot of nutrients into a filling, delicious meal any time of the day. In our fast-paced world, they help provide a great way to stay healthy on the go. If you find combining sugars and fats bloat you, keep them separate. Sugar that comes from eating whole fruit is not the same as added sugar! Have you ever compromised on a nourishing and filling breakfast because you are running late for work? Well, it has happened to all of us, especially women with kids. And the good news is, smoothies! That’s right! Smoothies are nutrient-rich, delicious and can be made within minutes. You can replace it with your coffee on-the-go as it is much more healthy, filling, and tasty. Here are 10 such smoothies prepared using a variety of fruits, veggies, and other ingredients. Some of the ingredients are rich in antioxidants, some are protein packed, and a few others are the best anti-inflammatory foods. So indulge in a smoothie marathon and try out one of the below smoothies each day; either as a fully-loaded breakfast or as a filling snack. Blend everything together and you are ready to kick start your day on a super healthy note. It contains protein, fibre and all the essential nutrients required for a wholesome breakfast. Another protein packed smoothie that is just delicious! This recipe is as easy as it comes. There you go! Banana will give you instant energy, protein from peanut butter, and loads of vitamins and minerals from apple. Nothing can get better than that! Another simple and quick smoothie with just three ingredients. It is healthy, quick and delicious. This smoothie includes watermelon, basil and coconut water. It is super-hydrating and healthy. Watermelon is a rich source of antioxidants, vitamin C, and many other nutrients. It aids conditions such as inflammation, obesity, diabetes and heart diseases. Basil is an amazing source of vitamin K, magnesium, copper, vitamin A, vitamin C, iron, calcium, and omega 3 fatty acids. What more do you need? Cherries are the best summer fruit ever! Put one cup of cherries along with one cup coconut milk and one scoop of protein powder. It is naturally sweet, creamy and full of deliciousness. This will fulfil your daily dose of protein in a single gulp! Cherries are packed with antioxidants and cancer-preventing elements. Studies show that it also promotes sleep by increasing melatonin levels, relieve arthritis pain, reduce belly fat and is an excellent post-workout snack that can reduce muscle pain. This healthy and tasty smoothie has only three ingredients; Strawberry, banana and non-dairy milk or water. Just throw all the ingredients and then blend! It’s creamy, colourful, healthy and delicious! Strawberries are a rich source of vitamin C, folic acid, and dietary fibre good for skin health and can beat the top moisturizers in terms of the benefits offered. It will help to keep skin healthy and glowing and fights aging, acne, and wrinkles. The banana provides increased energy throughout the day. It can be consumed as a perfect healthy breakfast or as a snack. With just two ingredients, it is possible to have a tropical beach experience at home. Don’t know how? This pineapple smoothie is just what everyone needs. Frozen or fresh pineapple and almond milk are the only ingredients in this. It is quick, easy and a perfect after workout drink. This combination can never go wrong. Pineapples improve bone strength, eyesight, delays muscle degeneration and aids in digestion. Having this smoothie first thing in the morning can help with smooth bowel movement. Who doesn’t love chocolates? This smoothie can fix the craving for chocolate and in a healthy way. Adding sugar and other sweeteners can ruin the whole purpose of having a healthy smoothie. Cocoa powder is a perfect substitute that can solve this issue. And blueberries offer a myriad of benefits such as regulate cholesterol and heart diseases. It has fibre, potassium, Vitamin C and other essential nutrients. Water or crushed ice can be added. This is a nutrient-packed smoothie with simple and easily available ingredients. Simply put 1 avocado, 1 banana, 1 scoop of green powder, one tablespoon vegan yogurt, two handfuls of spinach, some almond milk, few mint leaves and 1tsp cocoa powder. The greens offer plenty of vitamins and minerals along with the benefits of avocado. Mint acts as a palate cleanser and improves digestion and bowel movements. It also reduces the symptoms of inflammation, depression, asthma, respiratory diseases, promotes oral care, cures nausea and headache and even prevents cancer. Tired of the same old peanut butter? Try this smoothie recipe with non-dairy milk, almond butter, bananas, one tablespoon of flaxseeds, natural oats, and honey. It is packed with protein, dietary fiber, omega 3 fatty acids and plenty of other nutrients. Needless to say, extremely delicious. Makes up for an excellent post-workout snack that promotes muscle strength, repair of damaged cells and provides energy. This smoothie can be customized by adding more fruits or greens. It is perfect for breakfast or as a snack option. Beetroot is a good source of iron, nitrates, magnesium and other antioxidants. It also improves skin health and glows, lower blood pressure and prevent dementia. This smoothie is an ideal option for a pre-workout meal. So what are you waiting for? Try out these incredibly easy and healthy smoothies and pamper yourself with a great breakfast that nourishes your soul. It’s time for some self-love! Whether you are recently vegan, plant-based, lactose intolerant, cutting back on animal products, or one of those vegetarians that says, “I just don’t think I could ever give up cheese,” then, this is for you! This may surprise you, but there are alternative ways to make cheese. Nuts, for example, make a great homemade cheese because of their creamy texture and high fat content. If you’re thinking that there is no way nut cheese could replace real cheese, then I challenge you to try at least one of the recipes below and then see what you think. Here are the top 5 homemade vegan cheeses. Click on the headings for the links to the recipes. This is one of my absolute favourites. Not only is it extremely easy to make, but it tastes incredible, and in my opinion is even better than the real thing! This cheese can be devoured with crackers or crostini, or even crumbled on top of pasta or pizza. It is truly versatile. This recipe is awesome! You can actually use this mock ricotta pretty much anywhere you would use regular ricotta. If you’re thinking lasagna… so am I! Yum. Holy Hannah! This recipe will satisfy every nacho craving bone in your body. You can eat it as a dip or skip the baking part and heat it up and drizzle it over some nacho chips. If you bring this to a party, I doubt anyone would even know it’s vegan. Fun experiment, anyone? This is a great spreadable cheese that can be eaten with crackers or on sandwiches; it is also very simple to make. Just imagine the possibilities. This cheese obviously works great for pizza, but you can also use it for grilled cheese sandwiches, baked pasta, and pretty well anywhere else you would eat mozzarella (like on a fork). I hope this list gets you as excited as I felt when I first discovered that I could still have delicious tasting ‘cheese’ even after deciding to drastically cut back my animal product consumption. Please share your thoughts in the comment section below! Whether you follow a vegan or vegetarian diet, enjoy some meatless meals, or simply prefer lighter fare at lunchtime, I’m certain this article has something for you. If you need some new inspiration for meat-free lunch ideas that can be easily packed up and taken to work — or on a picnic! — then you’ve come to the right place. Here are 15 delicious meat-free lunch ideas! Click on the headings to be directed to the recipes. This sandwich is sure to satisfy hunger as chickpeas are loaded with fibre to keep you satiated throughout the day. If you were a fan of chicken or tuna salad before adopting a plant-based diet, this sandwich might just fill that void. Not only is it delicious, but super easy to whip together in the morning before work or at night before bed. Been craving sushi lately? This idea is genius! Very easy to make, and easy to take with you wherever you’re going. You can customize it anyway you please and experiment with a variety of different ingredients depending on what might hit the spot. Also, you can easily substitute the sticky rice with brown rice or quinoa for some extra fibre and nutrients. If you’re looking for a light lunch, than look no further! These mason jar salads might be exactly what you need to satisfy your need, for greens and other lovely salad accompaniments. These are very customizable, just imagine, greens, quinoa, avocado, chickpeas, cucumber, carrots, sliced almonds, bell peppers, tomato, mushrooms, sprouts, sunflower seeds, black beans, hummus, avocado – the combinations are literally endless! By placing your dressing at the bottom it keeps the greens from wilting and you just shake the whole thing up when you’re ready for lunch. This is one of those lunch ideas that could essentially also be leftovers from dinner the night before, it’s super simple to whip up for dinner, and then voila! There’s lunch for the next day, this couldn’t be any easier. YUM!! These are so delicious that even the meat-eaters will swoon when they see what you have for lunch. These are the best substitute for fish tacos that I’ve ever seen. Enjoy! These burritos are not only easy to make, but they are easy to make in large batches, which means you can make a whole bunch, roll them all up and then freeze the rest. In the morning, you can literally just grab and go, it should be thawed by lunch and ready to be heated up in the nearest toaster oven. These are also perfect if you know you are going to be away from home for awhile and don’t want to eat out. Sweet potatoes are one of the healthiest foods in the world. They can easily be roasted, whole in batches and stored in the refrigerator for a few days until you are ready to use them. These stuffed sweet potatoes provide a more satisfying meal as the beans add more protein. Again, these fillings are completely customizable to suit your tastes. Very simple, and again, very delicious! Like the burritos, these can easily be made ahead of time and frozen until you’re ready for lunch or are looking for a quick and simple dinner. 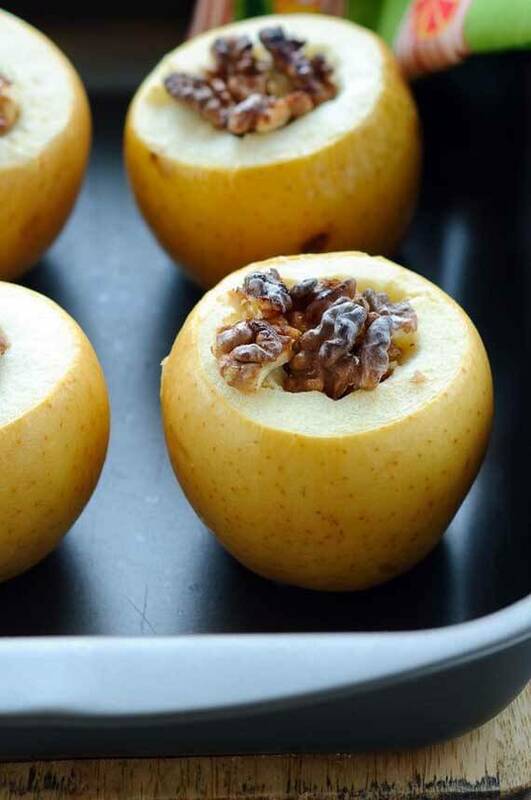 This recipe is delicious, however you can experiment with any combination you like. Pair this with a salad and there you have it, a perfect lunch! Depending on when you grew up, you might have fond memories of Mr. Noodles in a cup, where you just add hot water, wait a few minutes and BAM! Instant ramen noodle soup. Well, unfortunately those processed and packaged soups often contain a lot of preservatives and other chemicals such as MSG. Luckily, there is a healthy substitute for nearly everything, and yes you can still have your noodles in a cup, and eat them too. Do not underestimate the simplicity of this salad! It may seem very basic, but please don’t knock it till you try it. If you make this in the evening and let all of these beautiful flavours and colours meld together you are in for a very tasty treat. Who doesn’t LOVE avocado toast? I suppose those that don’t like avocados, well, if that’s you, you can go ahead and skip this one, but if it is you, oh man, you’re going to love this one. The beans and basil give the classic avocado just the oomph the classic avocado toast needs to constitute a meal that is sure to satisfy. Who doesn’t love a hot soup?! Well maybe not everyone in the summer, but on those chilly days I swear there is nothing more comforting than a bowl of piping hot soup. Lentil soup is filling, delicious and oh-so- satisfying! This can easily be taken to work in a mason jar and heated up just in time for lunch. I could literally just copy paste the exact definition of the above soup and use it here, but I won’t, chilli deserves it’s very own write up. Chilli is one of those great things that can be made from a bunch of random vegetables that need to be used and a ton of spices, especially chilli spice and maybe even some jalepeños if that’s your style. This recipe will leave your tummy feeling warm and full. Surprisingly easy to make, these lettuce wraps are not only healthy but super fresh and delicious. This is another recipe that can be easily customized to suit your taste preferences, with this lunch, you’ll be the talk of your office or wherever it is that you may work. This one is a personal favourite of mine, possibly because for a few years I fully believed that I had invented it, until my dreams were crushed while flipping through a vegan cookbook that was written before I adopted a more plant-based lifestyle. Nevertheless, if you were ever a fan of the traditional BLT, you are sure to love this sandwich. If you slice the tempeh real thin, and cook it until crispy, it tastes very similar to the real thing – and no pigs had to die! Win-win. There you have it! 15 amazing recipes that you can take with you to work for lunch! Even if you aren’t into going completely vegan, that’s totally fine. These recipes are good for both meat and veggie eaters alike. You may even just inspire some of your co-workers to try it out or try something different.